Good post – with the focus of so many organisations today being on cutting or offshoring or rationalising it is difficult to see how positivity, let alone fun can play any sort of role. 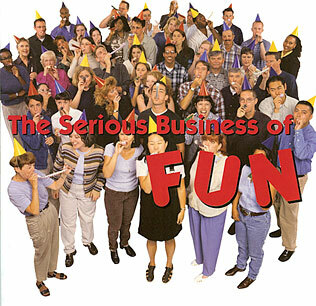 Almost every organisation I know espouses fun as a value (or the value that would have made it to the list if we had one more…yeah right), but guess what, fun is the first thing to go. Leadership is everything. Leaders need to be seen to explain how difficult times will exist within a longer term positive vision – tough times are part of life. Where people are lost they need to treat them properly with respect but at the same time not forget those left behind and be ready to celebrate successes when the business turns the corner. Is this any different to what we’ve always said? Thanks for the comments. Nothing much is never said before these days but definitely reinforced. These have been difficult times but now that we seem to be turning the corner, organisations are perhaps better off now to give that positive vision you have talked about. If we keep delaying and the recovery continues, it may be detrimental for the organisations otherwise. Thought provoking…………..With limited knowledge i feel that fun at work / events only work to some extent towards team building but it is does not play much role in employee engagement. Fun at work does not invoke the feeling of above and beyond in employees,it is taken for granted that such events have to happen in organisations,in some organisation employees feel that it is there right . Employee engagement starts with delivering what a organisation promised when an employee joins and sometimes organisations start on a wrong note with an employee……..
leading to a dissatisfied and disengaged employee .